What is it about celebrities and breakfast? Do they not know that it's the most important meal of the day? In today's edition of "Celebrities Not Eating Things Normal People Do," we present you with rapper-turned-actor Ice-T, who recently announced on Twitter that he had never eaten a bagel. And — wait for it — he's never tried coffee, either. Needless to say, the internet was shaken by the confessions. I’ve never drank a cup of Coffee ️ either... Go CRAZY!!! 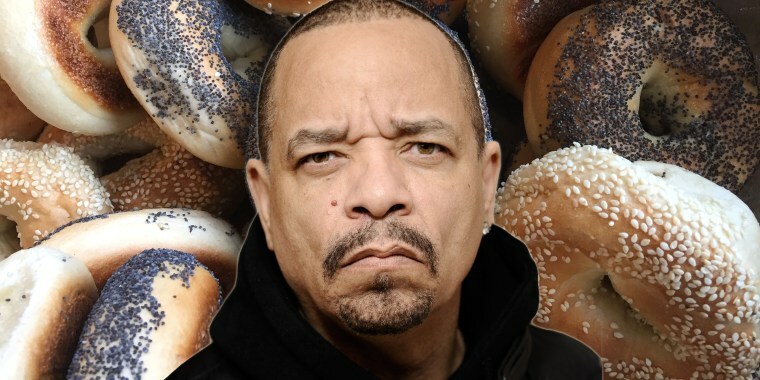 Ice-T's declaration comes a little less than two months (aka too soon) after we learned that Kylie Jenner had apparently tried cereal and milk for the first time at the age of 21 and that Cynthia Nixon's go-to bagel order is a mind-boggling combo of cream cheese, lox, red onions, capers and tomato ... on a sweet cinnamon-raisin bagel. After Ice-T made his initial announcement, Twitter went absolutely bonkers. As evidenced by the whole bagel emoji debacle, you don't mess with bagels — especially in New York. And yes, Ice-T now resides primarily in Los Angeles, but he was born in Newark, New Jersey, which is just a quick train ride away from the bagel capital of the world. Among the most shocked were the devout "Law & Order: Special Victims Unit" fans who could have sworn they'd seen his character, a cop named Odafin "Fin" Tutuola, eat a bagel before — specifically of the cinnamon-raisin variety (shout-out to Cynthia Nixon). But what about coffee? How could that be? Is he just that loyal to his namesake, iced tea? Eventually, the Twitter tides shifted from outrage to compassion. What's a life without bagels and coffee, anyway? I know there are more pressing things to us as a community, I just REALLY want to make sure the first bagel Ice-T eats is a really good one. Ice, we’re trying to remain calm, we’re just having a hard time letting you miss out on deliciousness. We’d be happy to send you some bagels and cream cheese so you can see for yourself. Thoughts? Which is kind and all, but we'd recommend Ice-T get the whole New York bagel-shop experience (preferably at Bo's, Absolute or Utopia Bagels): waiting in line and smelling all the bagels being made, deciding what to order (an everything bagel with lox, cream cheese and capers, of course — sorry, Cynthia), getting annoyed at the person in front of you for not deciding on their order before they got to the front of the line, paying way more than you expected it to be, then taking your first bite of that freshly-made, fluffy-yet-crispy phenomenon that you've somehow avoided for your 60 years of life and at last admitting that yes, it does indeed live up to the hype. TODAY Food will, of course, be following this story closely and will keep you posted on whether Ice-T decides to make the breakfast staple a part of his new morning routine.